This paper proposes a novel small asymmetric coplanar strip (ACS) fed tri-band monopole antenna for WLAN and WiMAX applications. To tune and create multiple resonant frequencies, the exciting strip of monopole antenna is connected to two different arms which are a J-shaped directed toward the asymmetric ground plane and an open stub. The proposed monopole antenna with a total size of 14.6 x17.5 mm2 is fabricated and tested. The measured results indicate that the antenna has impedance bandwidths for 10-dB return loss reach about 500 MHz (2.01-2.52 GHz), 230 MHz (3.48-3.71 GHz) and 1.2GHz (5.59-6.72 GHz) which cover widely the 2.4/5.8 GHz WLAN bands and the 3.5GHz WiMAX band. The simulated radiation patterns of the proposed antenna at the three resonant frequencies have a dipole-like radiation pattern in both E-and H-Planes. The compact size, the simple structure and good radiation performances of the proposed antenna makes it well-suited forthe intended applications. H. Kan and R. Waterhouse, Size reduction technique for shorted patches, Electron. Lett., vol. 35, pp. 948-949, 1999. 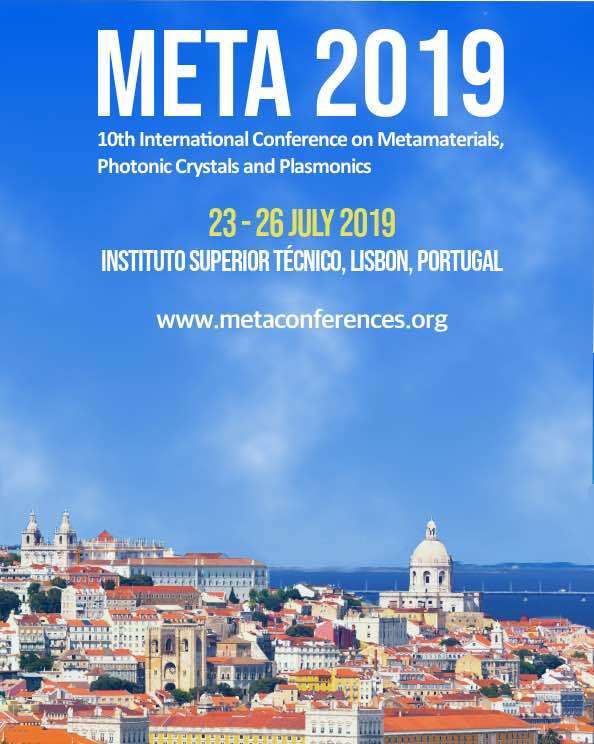 G. Varamini, A. Keshtkar, and M. Naser-Moghadasi, Compact and miniaturized microstrip antenna based on fractal and metamaterial loads with reconfigurable qualification, Int. J. Electron. Commun. (AE), vol. 83, pp. 213-221, 2018. J. A. TiradoMndez, H. JardnAguilar, F. IturbideSnchez, I. GarciaRuiz, V. MolinaLopez, and R. AcevoHerrera, "A proposed defected microstrip structure (DMS) behavior for reducing rectangular patch antenna size," Microwave Opt. Technol. Lett., vol. 43, pp. 481-484, 2004. K. A. Ansal and T. Shanmuganantham, "Compact ACS-fed antenna with DGS and DMS for WiMAX/WLAN applications," Int J Microw Wirel Technol, vol. 8, pp. 1095-1100, 2016. A. Gupta, H. D. Joshi, and R. Khanna, "An X-shaped fractal antenna with DGS for multiband applications," Int J Microw Wirel Technol, vol. 9, pp. 1075-1083, 2017. Salim M, Pourziad A, A novel reconfigurable spiral shaped monopole antenna for biomedical applications. Prog. Electromagnet. Res. 2015;57:79-84. Majid HA, Rahim MK, Hamid MR, Ismail MF, Malek F. Frequency reconfigurable wide to narrow band monopole with slotted ground plane antenna. 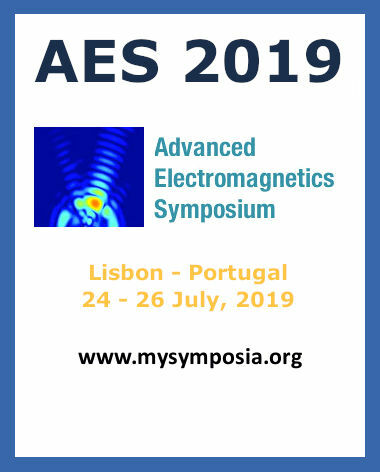 Journal of Electromagnetic Waves and Applications. 2012 Aug 1;26(11-12):1460-9. D.-L. Jin, T.-T. Bu, J.-S. Hong, J.-F. Wang, and H. Xiong, "A Tri-Band Antenna for Wireless Applications using Slot-Type SRR," Appl. Comput. Electromagnet. Soc. J., vol. 29, 2014. M. Rahimi, F. B. Zarrabi, R. Ahmadian, Z. Mansouri, and A. Keshtkar, "Miniaturization of antenna for wireless application with difference metamaterial structures," Prog. Electromagnet. Res., vol. 145, pp. 19-29, 2014. H. Chen, X. Yang, Y.-Z. Yin, J.-J. Wu, and Y.-M. Cai, "Tri-band rectangle-loaded monopole antenna with inverted-L slot for WLAN/WiMAX applications," Electron. Lett., vol. 49, pp. 1261-1262, 2013. S. Soltani, M. Azarmanesh, P. Lotfi, and G. Dadashzadeh, "Two novel very small monopole antennas having frequency band notch function using DGS for UWB application," Int. J. Electron. Commun. (AE), vol. 65, pp. 87-94, 2011. X.-p. Xiong, Q. Liu, Y. Zhang, and Y.-l. Luo, "Novel ACS-fed monopole antenna for UWB applications with sharp selectivity notched band and additional bluetooth band characteristics," J Electromagnet Wave, vol. 28, pp. 2308-2317, 2014. Y. Li, W. Li, and Q. Ye, "Miniaturization of asymmetric coplanar stripfed staircase ultrawideband antenna with reconfigurable notch band," Microwave Opt. Technol. Lett., vol. 55, pp. 1467-1470, 2013. L. Kang, H.Wang, X. H.Wang, and X. Shi, "Compact ACS-fed monopole antenna with rectangular SRRs for tri-band operation," Electron. Lett., vol. 50, pp. 1112-1114, 2014. Y. Li, W. Li, and R. Mittra, "A Compact ACSFED DualBand Meandered Monopole Antenna for Wlan and WiMax Applications," Microwave Opt. Technol. Lett., vol. 55, pp. 2370-2373, 2013. P. V. Naidu, "Printed V-shape ACS-fed compact dual band antenna for bluetooth, LTE and WLAN/WiMAX applications," Microsyst Technol, vol. 23, pp. 1005- 1015, 2017. L. Liu, Y. Weng, S. Cheung, T. Yuk, and L. Foged, "Modeling of cable for measurements of small monopole antennas," in Antennas and Propagation Conference (LAPC), 2011 Loughborough, 2011, pp. 1-4. X. Ren, S. Gao, and Y. Yin, "Compact triband monopole antenna with hybrid strips for WLAN/WiMAX applications," Microwave Opt. Technol. Lett., vol. 57, pp. 94-99, 2015. P. V. Naidu and A. Malhotra, "A small asymmetric coplanar strip fed tri-band antenna for PCS/WiMAX/WLAN applications," Microsyst Technol, vol. 23, pp. 13-22, 2017. W. Hu, Y.-Z. Yin, P. Fei, and X. Yang, "Compact triband square-slot antenna with symmetrical L-strips for WLAN/WiMAX applications," IEEE Antennas Wireless Propag. Lett., vol. 10, pp. 462-465, 2011. M. Lamsalli, A. El Hamichi, M. Boussouis, N. Amar Touhami, and T. Elhamadi, "Genetic algorithm optimization for microstrip patch antenna miniaturization," Prog. Electromagnet. Res., vol. 60, pp. 113-120, 2016. V. Deepu, R. Sujith, S. Mridula, C. Aanandan, K. Vasudevan, and P. Mohanan, "ACS fed printed Fshaped uniplanar antenna for dual band WLAN applications," Microwave Opt. Technol. Lett., vol. 51, pp. 1852- 1856, 2009.